The MaxLight XL2-125 pre-inked stamp has a maximum text plate size of 1-1/8" x 2-1/8" allowing you to create up to 5 lines of customized text. 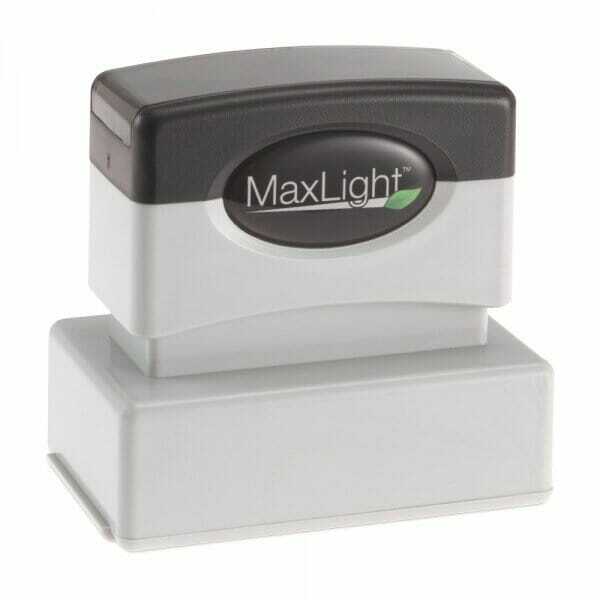 The MaxLight XL2-125 is perfect for longer home or business address stamps that need an extra line for e-mail or website. Évaluations de clients pour "MaxLight XL2-125 1-1/8" x 2-1/8" - up to 5 lines"